Volvo City Safety will help you drive confidently through those busy city streets. This driver support system is designed to alert drivers to other vehicles, pedestrians or cyclists that may suddenly emerge in front of your vehicle without warning. City Safety technology is the perfect companion to help drivers avoid low speed accidents while moving in slow, stop-and-go traffic. How does Volvo City Safety Work? 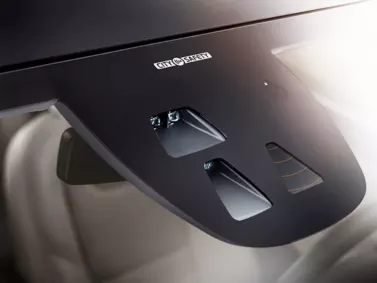 It incorporates the use of a camera and radar unit mounted at the top of the windshield, just in front of the interior rear-view mirror. From there, the radar is used to scan and determine exactly where objects are and their movement. If it detects potential danger ahead, the system will alert the driver and prepare the braking system to come to a stop if needed. If a potential crash is detected, the system will alert the driver early enough to react and minimize or avoid impact. Lights will flash upwards onto the windshield along with an audible alert. 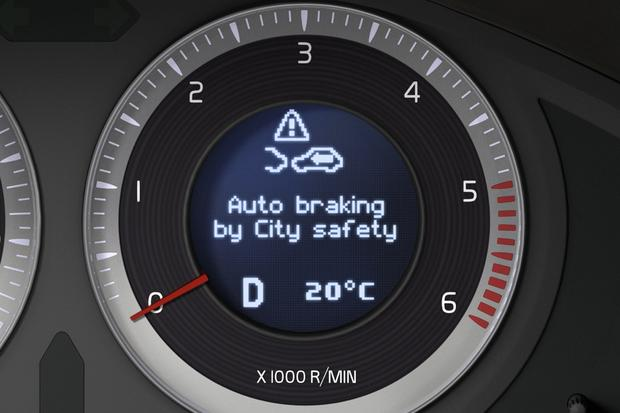 Volvo City Safety will automatically deploy the braking system at 50% strength, if the driver doesn't respond quick enough or fails to react. As the object in front of your vehicle gets closer, full braking will be applied to bring the vehicle to a complete stop. A key aspect of City Safety is that it will not intervene if the driver actively steers the vehicle or applies the brakes themselves. Below are a few scenarios where Volvo City Safety will react accordingly. Cyclists or pedestrians crossing the path of your vehicle or swerving in front of it. Depending on the scenario, Volvo City Safety can help mitigate the effects of the collision or avoid it altogether if speeds are 28 MPH or below. Oncoming vehicles including motorcycles and bicycles, as the driver turns left. Volvo City Safety is able to recognize the likelihood of a collision and react accordingly. Vehicles (including motorcycles) traveling in the same direction as your vehicle. The automatic braking system will assist in reducing the consequences of the collision if relative speeds between the two vehicles is 31 MPH or below.